I decided that drawing would be a good excuse to be off my feet for a while, so I drew the huge mech thingy from the movie Avatar that was right in front of me. I proved to be free entertainment for quite a few children and even a couple of adults. I was asked a couple times if I drew professionally and people were actually surprised when I said no! There were a number of shows and parades and other such things happening that involved a lot of waiting in between so I drew this during that time. I figured since I only had a black pen to work with I’d just use that to represent the lights instead of trying to outline them. It took a long time and is a bit wonky, but it was a fun experiment. Also: always carry a book light with you, kids. You never know when it might be way too dark to draw. 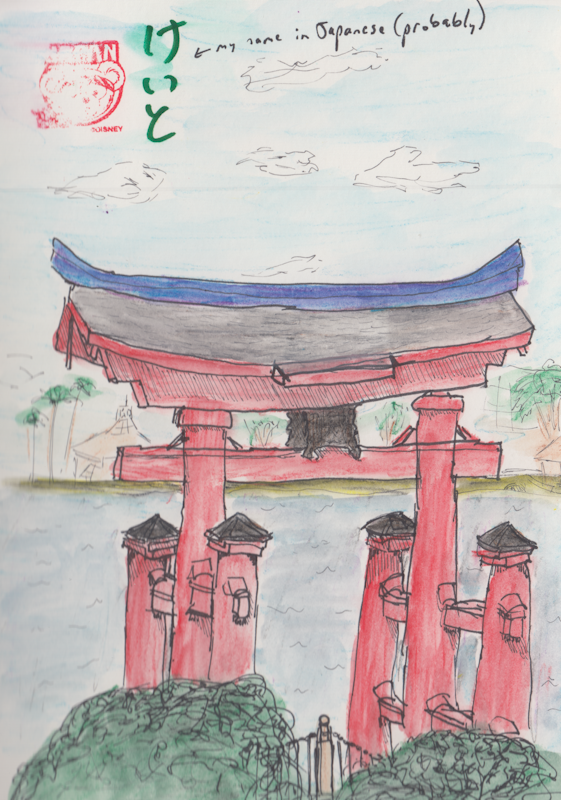 Drawn from a photograph I took and apparently didn’t scan very well (wtf left side blur) but that’s all right. The fun part about this was that I finished it while waiting for the evening program to begin at Animal Kingdom, and the little girl next to me was fascinated. I particularly liked showing her the magic of the watercolor crayons. 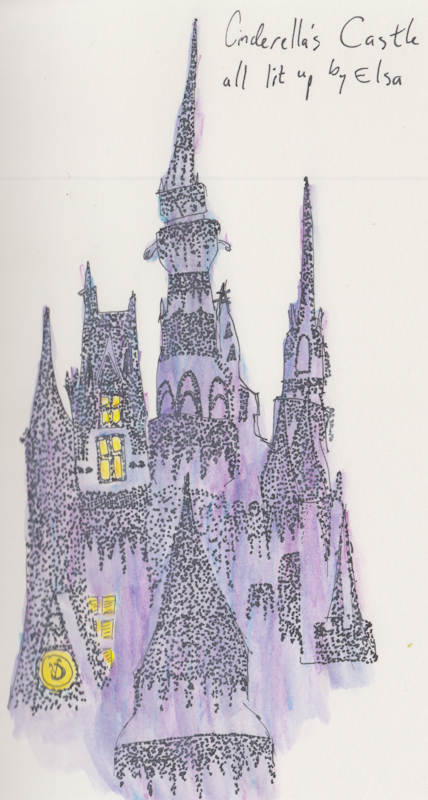 Drawn from a photograph I took at dusk at Disney Springs. 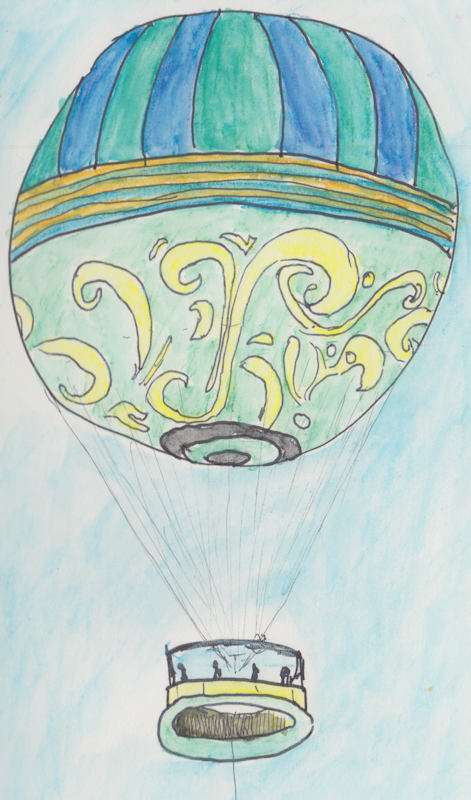 (One day I swear I will ride in that balloon, dang it!) This was my first time using watercolor crayons and they are so amazing. Drawn from my car early in the morning. The view from Tokyo Dining at the Japan pavilion. 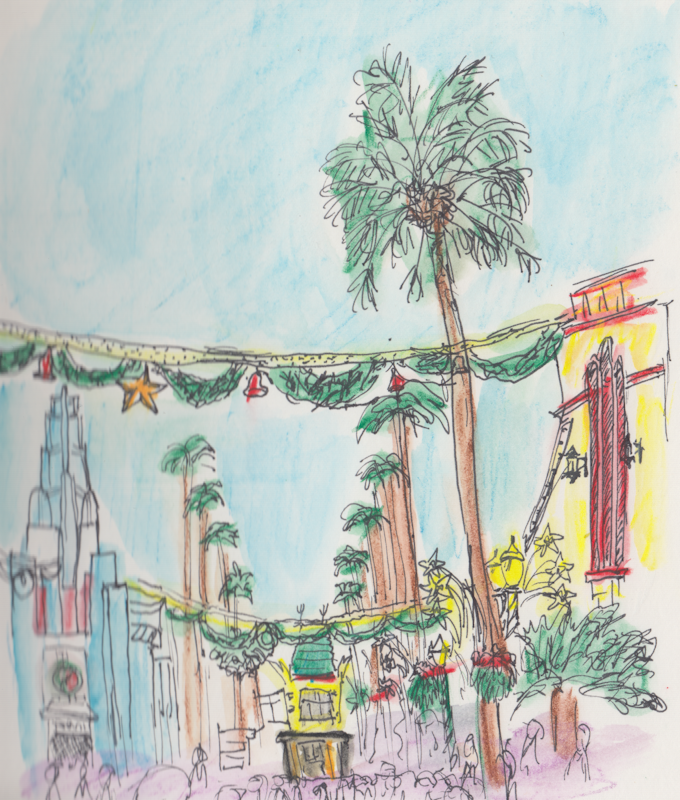 Drawn from a photograph I took on the ride in the Mexico pavilion. Drawn from my car at about 7am. 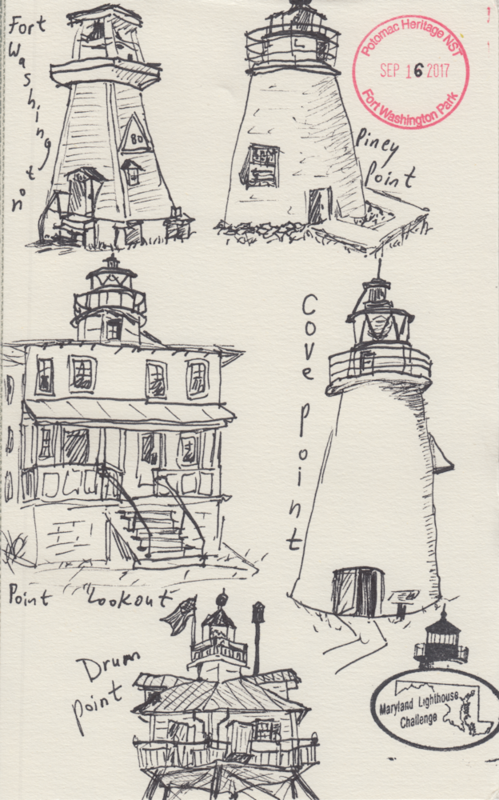 The Maryland Lighthouse Challenge involves visiting nine lighthouses and one lightship over the course of a weekend. I haven’t the foggiest idea why, but I had it in my head that this was something I was going to do. And I did. 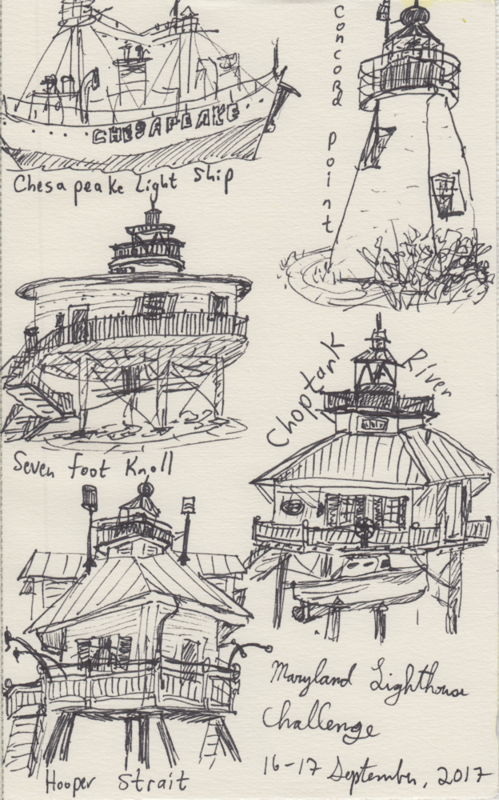 And I drew a quick sketch of each lighthouse I visited, in person, usually standing. (I hate to draw while standing.) Chesapeake Bay lighthouses aren’t as impressive as the ones in the ocean, but they can be interesting to look at, particularly the screw-pile type. I filled one page each day of the challenge, and I’m really proud of how they turned out. I tried a different approach to this drawing. 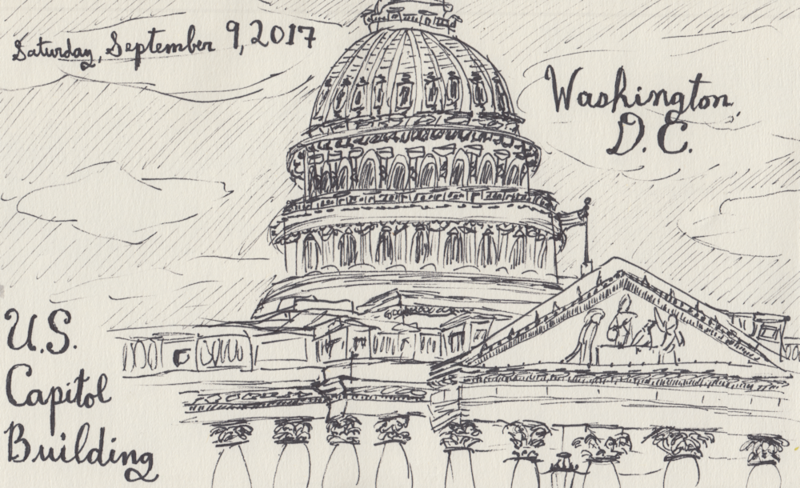 I decided the Capitol was way too complicated and I’d get lost and frustrated if I started somewhere and tried to get every detail. Instead, I drew the big shapes and just started filling in details. 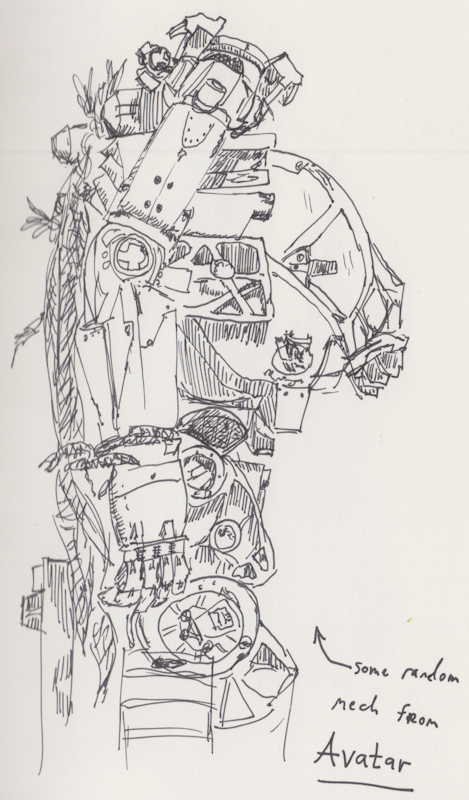 I drew quickly with a larger pen than I usually use. And I think it came out all right. And the weather that day was simply perfect. 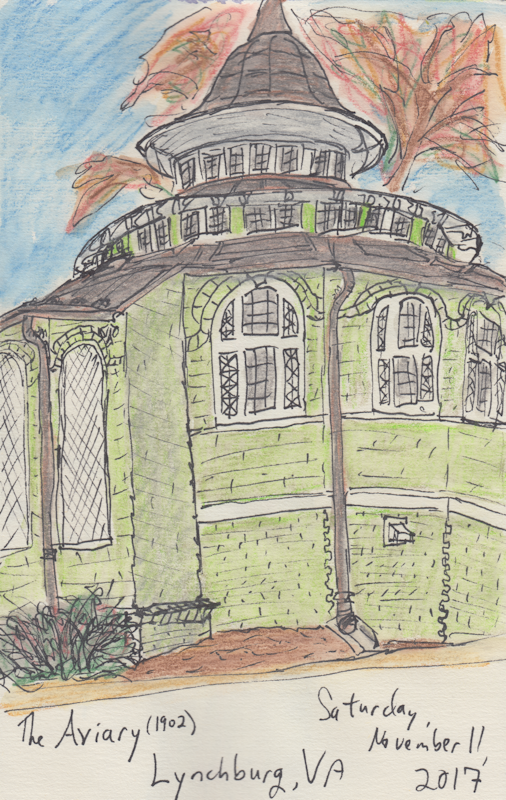 Hyperlocal Tourism: These drawings are part of my ongoing attempts to fall in love with Centreville, Virginia, where I’ve lived for more than a decade. 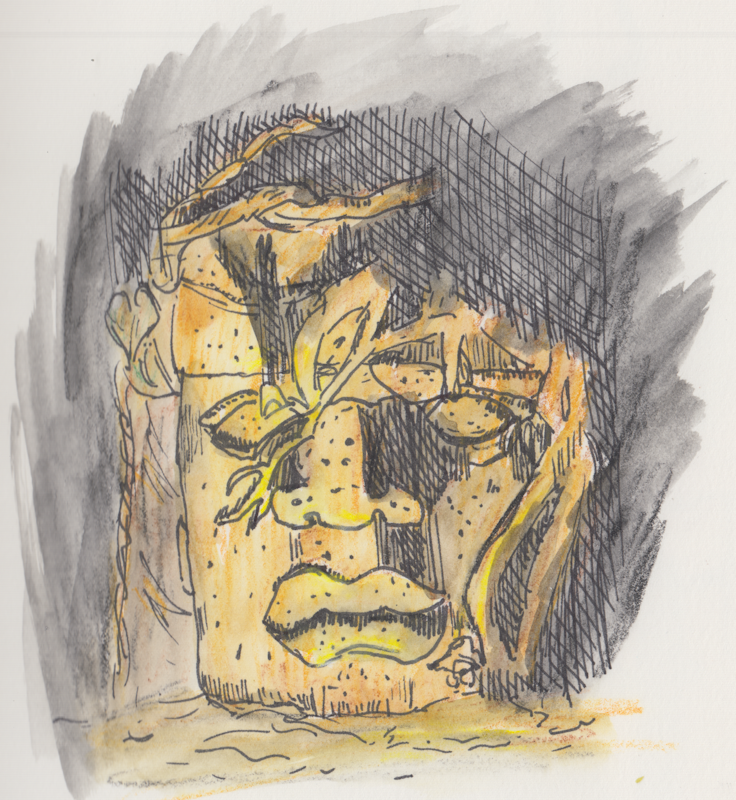 I’m hoping that by getting up close and personal, I will develop an affection for the place. 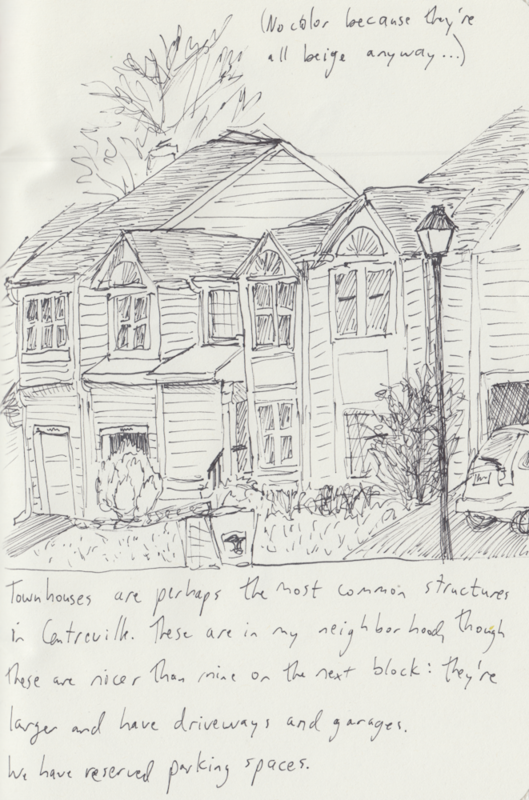 I like drawing historic buildings but the truth is that most of Centreville is made up of strip malls and townhouses. It’s the oldest town in the county but we’ve paved over most of the evidence. 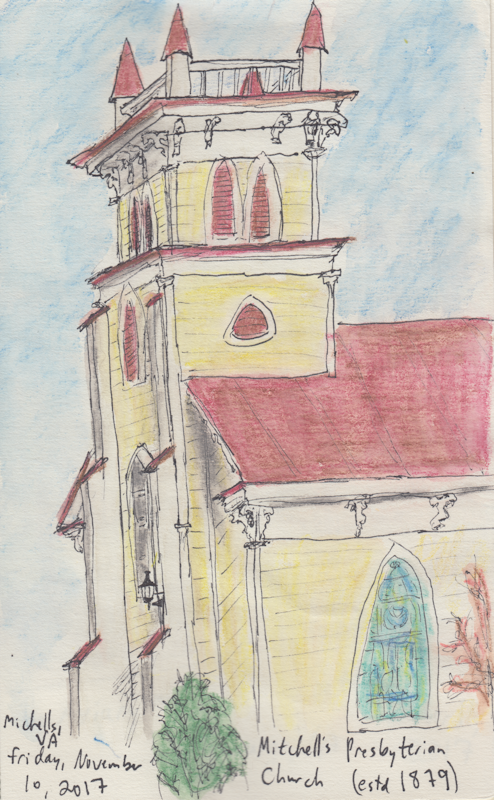 This was drawn from a photograph I took while taking a walk around the neighborhood.